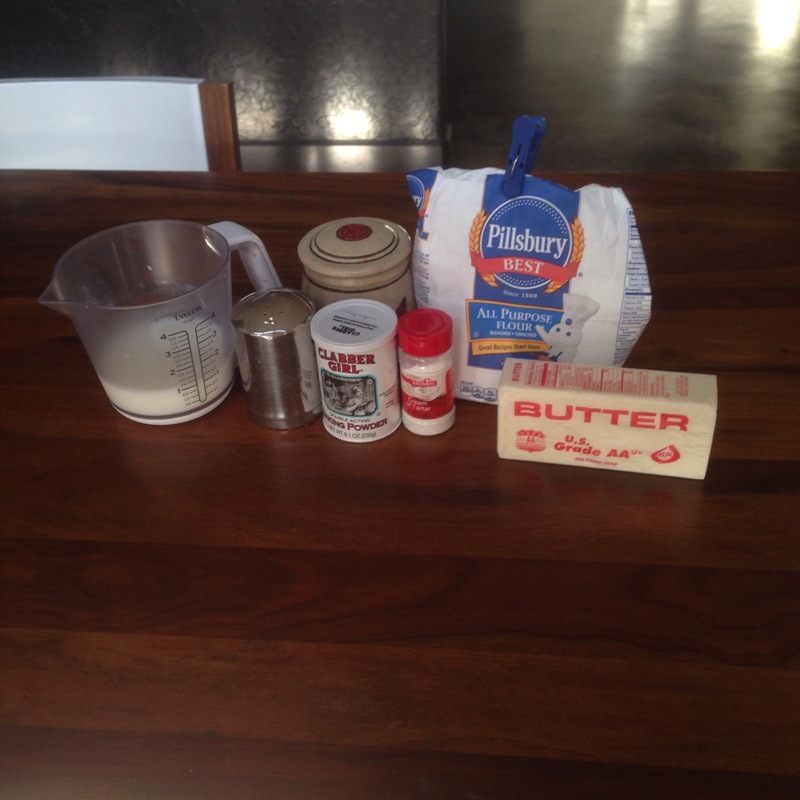 just a quick recipe today! 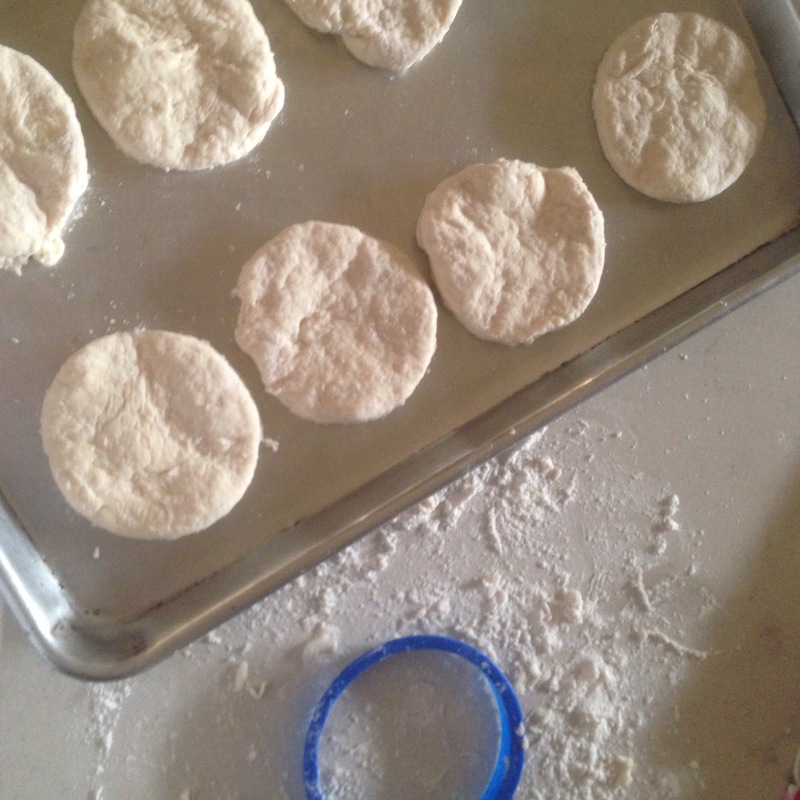 Things are starting to get busy around here with school beginning soon, so today I just have a quick and easy biscuit recipe. Start out by mixing your front ingredients. Cut in your butter until resembling crumbs. I use a hand pastry blender for this. Add milk slowly, mixing with a fork, until everything is just combined. It should use a little less than the full cup. Next, turn out your dough on a floured area and knead a few times. Pat to about 3/4 inch thick and use a cookie cutter to cut out rounds. Bake on an ungreased cookie sheet for 10-15 minutes at 450 degrees. 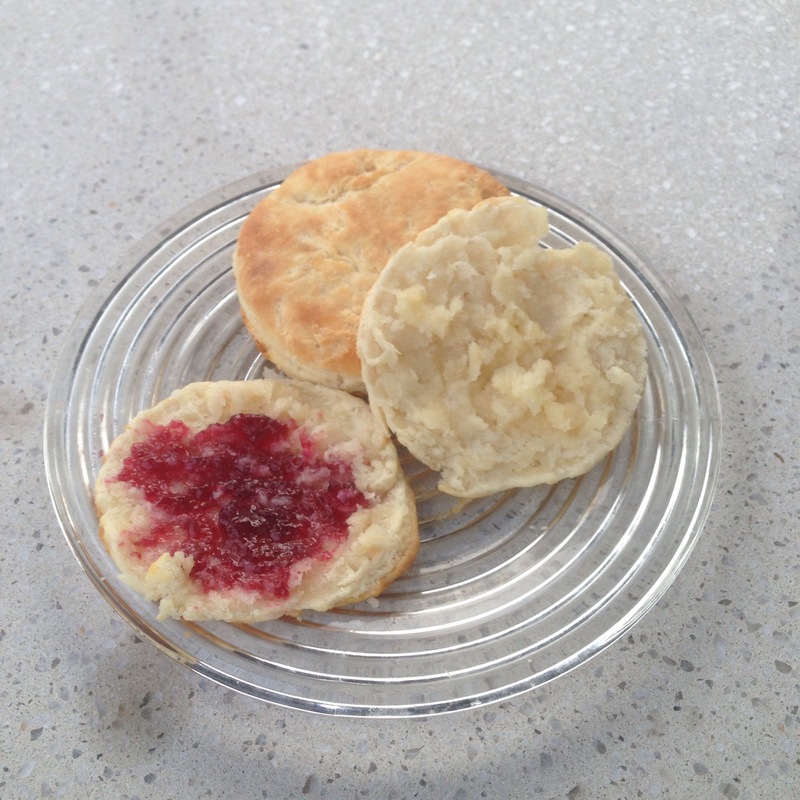 I really enjoy these easy biscuits, especially with butter or jam or both! They pair very well with a cup of tea, too. I like how useful biscuits are- a part of any meal. A side at dinner, a star at breakfast, or even a sandwich for lunch.